Over the last few years I've build up an impressive collection of samples, half used and full bottles of toiletries, so at the start of the year, one of my resolutions was that I would not buy a new product (eg.shampoo) unless I've used up all the ones I have. I can't wait to finish more of my shash and hit Boots for new products! I always thought I did a good job of moisturising my lips but I went lipstick shopping today and every single one I tried on made my lips look dry and chapped. It made me realise I've been slacking with applying lipbalm recently and my lips could do with some serious moist urising. 2. 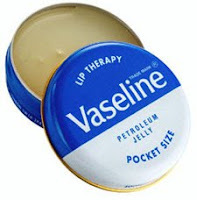 Apply vaseline/carmex regularly throughout the day, not just when I go out. 4. Regularly exfoliate using a muslin cloth when I wash my face. It'll be interesting to look back in a few months time and see how many products have changed! What they say: Soap & Glory Hair Supply® is a super gloss-giving radiance & repair mask treatment for all hair types. Soap & Glory Hair Supply® has an ultra-light gel formula which nourishes and defrizzes but doesn't weigh hair down. What I think: I really like this product, I have fine straight hair that can lack volume and this product is light enough to moisturise without weighing down my hair. I use a 2 pence sized blob each time and after rinsing and drying my hair feels silky and smooth. Since using this I find that I have fewer knots and my hair is easier to brush through. This product has the usual soap and glory fragrance but unfortunately most of the smell disappears when I rinse my hair. The only downside to this hair mask is that it does take a bit longer to rinse out compared to other conditioners. I'm obsessed with skincare and always cleanse and moisturise everyday, I just hate going to bed without cleaning my skin and that dirty feeling you get the next day when you wake up in the morning. Make up removal and cleansing I start by removing mascara and undereye concealer using No 7 cleanse and care EMU. This does a great job of removing makeup without any rubbing needed. Then I remove the rest of my make up using Garnier clean and fresh cleansing milk. Finally I use Neutrogena 2 in 1 face wash to remove any remaining traces of makeup and dirt and to keep spots at bay. I don't use toner as I find that splashing with lots of cold water is enough. Moisturising Morning- I start by massageing in Simple hydrating light moisturiser all over. Then I apply Nivea anti-dark circle eye cream followed by bio-oil to any dry patches. 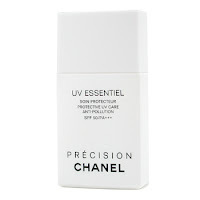 Finally I apply Chanel UV essentiel all over to protect my skin from the sun and vaseline to moisturise my lips. Evening- I start by massageing Superdrug vitamin E night cream all over. Then I apply Elemis absolute eye serum followed by the Nivea eye cream. I apply bio oil to any dry areas and finish by applying vaseline to my lips. If you have any scars then I'd definitely recommend giving bio-oil a go. Last year I cut my hand getting my phone which had fallen down the back of the sofa and was left with a small scar. I thought I might as well give bio-oil a go and started massageing it in several times a day. After a month it was barely visible and now I can't see it at all, even if I look closely. I exfoliate using this B natural scrub from Tesco. It's quite a harsh scrub so I only use it once a week. I also use Clinique clarifying lotion a few times a week. I used to use this stuff everyday but after reading about how drying it was and the high alcohol content I decided to cut down and to be honest my skin is probably in a better condition because of it. When I have the time I also like to pamper my skin using masks. I'm a product junkie and am always trying out new products however in the last few years I've discovered a few HGs that I absoutely love and will always repurchase. One of my must have products! Ever since I discovered that UVA rays were the biggest cause of skin ageing I've been wearing sunscreen on my face everyday. However most of them were very thick and heavy which left my skin looking very oily and broke me out in spots. This product is amazing though, it's a really light white fluid that just disappears into your skin. 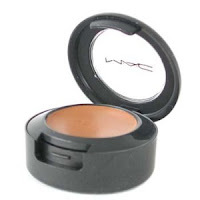 I find my skin is less oily when I use this and it and acts as an excellent primer for makeup. It's not cheap but lasts for ages as you only need to use a little bit each time. Would definitely recommend this product. I get really awful dark circles and have always been really conscious of them. I was so happy to discover this product. It's quite thick but it's really easy to apply using fingers or a brush and does an amazing job at covering my dark circles. When I first brought it I applied it to one eye only and took a photo to compare and there was such a difference between the 2 eyes. The only downside is that because it's so thick it does sometime settle into the fine lines under my eyes so an eye cream is essential. A beauty classic that speaks for itself! I apply this every night for super moisturised soft lips. Gives lips a gorgeous sheen and is great for mixing with lipsticks to tone them down and create a glossy look. I also like using this on patches of dry skin and cuticles. Hi! Welcome to my blog, I've really enjoyed posting on beauty forums and reading other people's blogs and thought I'd start one myself. I'm 21 years old and currently studying at university in London. I love all things beauty, shopping, American dramas, hanging out with friends, eating out and reading. 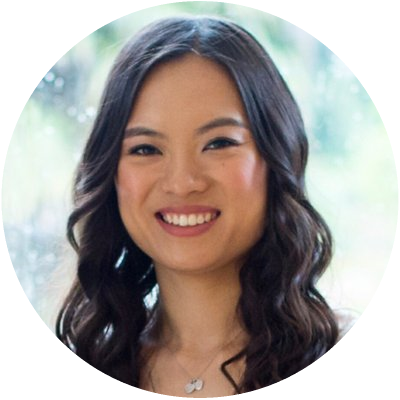 I hope you'll enjoy reading my blog!